Ms. Nalini Malani is a leading Asian artist who has been internationally acclaimed for her large-scale spatial art combining installation and paintings. Her challenging themes, current and universal, include religious conflicts, war, oppression of women and environmental destruction, focused on the recent history of the Indian Subcontinent. Ms. Nalini Malani is a leading Asian artist who has attained an international reputation. Her large-scale spatial art, combining paintings and installations, takes on the recent history of the Indian Subcontinent, and keeps consistent focus on such daring contemporary and universal themes as religious conflict, war, oppression of women and environmental destruction. 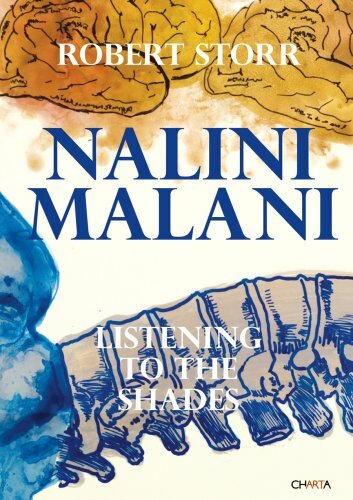 Ms. Malani was born in Karachi, Pakistan (then part of the British Indian Empire) in 1946. At the troubled time of the Partition of India and Pakistan, her family escaped to Kolkata in India in 1947. After graduating from the Sir J.J. School of Art in Mumbai in 1969, she received a French government scholarship and went to Paris to study art. Since her return to India in 1973, she has been based in Mumbai. In 1987, she organized Through the Looking Glass, the very first female-organized exhibition for female artists in India, for which she attracted considerable attention. In the 1990s, she presented her first installation work, and also such unique exhibitions as the City of Desires, where the general public were invited to watch her at work, and discuss the creative process. Reacting against the growing threat of Hindu Nationalism in India, she opened up a new field of expression in the conservative Indian artistic scene. She held exhibitions at the Asia Pacific Triennial (Brisbane, 1996) and at the New Museum (New York, 2002). She was also invited to a number of international art exhibitions including the Venice Biennale (2007) and dOCUMENTA (Kassel, 2012), and has been active as a central figure in Indian contemporary art exhibitions which have taken place in the West and in Asia. Her work was often introduced in Japan, too: she came to Fukuoka Asian Art Museum on a residence program in 1999-2000, and participated in the Artist File 2013 at the National Art Center in Tokyo. Although Ms. Malani uses modern representational techniques such as installations, her art conveys a dreamy quality and a familiar warmth, because of the strong influence on her work of such traditional folk arts as glass painting, shadow play, kaleidoscope lantern and Kalighat paintings with divine images. The central motif, however, is her response to the serious problems and contradictions which the world faces, including religious conflicts caused by fundamentalism, war and nuclear power, violence and oppression towards women, and environmental destruction. By thus accumulating diverse images, she creates multilayered narratives which cannot be reduced to a simplistic dualism between good and evil. Having chosen these difficult themes of the problems of the contemporary world, she has created ambitious works of art and applied innovative means of expression, but at the same time has maintained her roots in Indian tradition. As a result, she has established a worldwide reputation, and become one of the leading female artists in Asia. She is indeed a worthy recipient of the Art and Culture Prize of the Fukuoka Prize.